Mr. Comer has over three decades of key leadership roles with several Fortune 500 Companies. He is founder and sole owner of Comer Holdings, LLC headquartered in Southfield, Michigan. 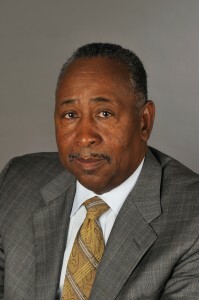 Prior to establishing Comer Holdings, Mr. Comer was President of the North American Joint Ventures and Diversity at Lear Corporation. In this position, he was responsible for supporting the growth and development of Lear’s minority joint ventures and supplier diversity activities in the U.S., Canada and Mexico. In addition, he also oversaw the company’s diversity-related initiatives for employees, as well as Lear’s support to the community. Before joining Lear Corporation, Mr. Comer worked as Quality Manager at the Mazda Corporation and also held several quality and manufacturing positions including Superintendent of Quality/Inspection for The General Motors Corporation. Comer holds membership on various local, state and community boards, such as Sinai-Grace Hospital, Arts League of Michigan and VIP Mentoring. In addition, he’s worked with various other charitable organizations including being a member of the Virgil H. Carr Society for leadership giving and the Alexis de Tocqueville Society for United Way. In 2003, Michigan Governor Jennifer Granholm, appointed Comer to the position of Commissioner on the Michigan Community Services Commission (MCSC). Jim was honored in 2005 by President George W. Bush with the President’s Volunteer Service Award during the President’s visit to Detroit. Mr. Comer holds a Bachelor’s degree from Wayne State University. Jim and his wife, Donna, have two adult children. 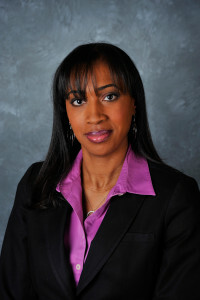 Mrs. Jones has over thirteen years of experience in various key roles within sales, marketing and human resources. Mrs. Jones joined Comer Holdings, LLC in 2006 and started working with Comer Foundation in 2010. As Associate Director of Human Resources for Comer Holdings, LLC Mrs. Jones is responsible for establishing employee policies, benefit package development and administration and overall plant support. Prior to joining Comer Holdings, LLC Mrs. Jones worked with Ford Motor Company in sales and marketing where her primary responsibilities included marketing, sales and distribution within Ford’s expansive dealer network. Mrs. Jones shares Mr. Comer’s passion for community service and was active in outreach and charitable giving direction at Comer Holdings, LLC prior to the establishment of Comer Foundation. Mrs. Jones holds a Bachelor of Science degree in Marketing from Michigan State University. Andrea and her husband, Jason, have three children.